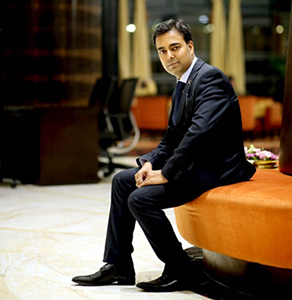 A business leader with the desire to rewrite India’s real estate story, Mr. Pankaj Jain is non arguably, India’s ‘builder extraordinaire’, the person committed to change NCR’s skyline. Mr. Pankaj Jain has virtually revolutionized the real estate industry in NCR and now expanding the horizon beyond NCR to Pan India Level. A visionary, a qualified Engineer, with Exemplary Academic record, his first spark of recognition in the construction business along with charismatic and inquisitive character came in to the picture ever since the inception of the KW Group. Since then he has scripted various marvelous wonders of architectural and design, in form of numerous projects and each of the constructed project has become the style statement of his unmatched wisdom, vision and personality. Under his able leadership, the group has scaled many heights in line with the motto of group “for touching heights“. Today, the phrase “KW” spells a magic of trust, confidence, transparency and professionalism among the fraternity, customers, associates and stake holders. Mr. Pankaj Jain is a Business Leader with a combination of qualities like sharp professional business acumen, concerned citizen with social awareness, Industry leader with up to date knowledge, and above all, ensuring that the company gives value to every customer. Today, the KW brand is synonymous to quality, reliability, trust & timely completion of projects.